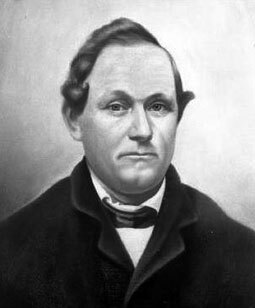 Solomon Pool was born on 21 April 1832 at Elmwood on the Pasquotank, the Pool plantation near Elizabeth City, North Carolina. His father, also Solomon Pool (April 28, 1787–Jan. 10, 1832), was a wealthy slave holding planter of English descent, from a family prominent in northeastern North Carolina since 1679 (first Pool, also named Solomon, emigrated from Middlesex to Pasquotank in 1670s). His mother, Martha (Gaskins) Pool (November 10, 1797–February 17, 1838), was of French Huguenot ancestry. Solomon was the last of 7 children (5 boys and 2 girls) in the family. Unfortunately his father died before his birth, and his mother died when he was only five. Young Solomon was raised on the plantation by his eldest brother, George Decatur Pool (1817-1879) (see the nearby image), a farmer, philanthropist and county commissioner, who became active in the Republican party. 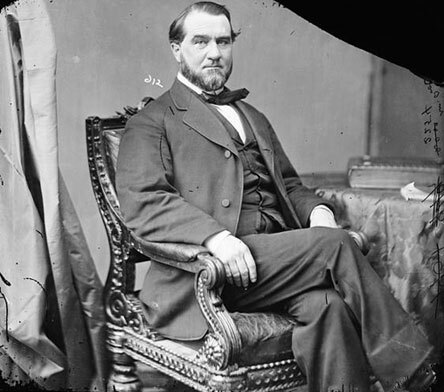 Besides George, Solomon had two brothers of note: John (1826–1884), a lawyer and U.S. senator, and William Gaskins (1829-1887), a physician. Solomon prepared for college in Elizabeth City and entered the University of North Carolina in 1849 (his brother John graduated 2 years before). Solomon graduated in 1853, the second honor student in a class of 59. While in the University, he was a member of the Philanthropic Society. In December 1853 he became tutor of mathematics at the University, and in 1856 he received an honorary alumni master's degree. 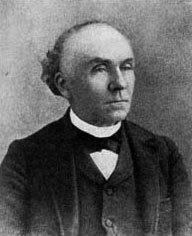 In 1861 Pool was promoted to adjunct professor of math and held the position for five years. In 1866 Pool took a leave of absence to accept a more lucrative position ($5,000 per year) as U.S. deputy appraiser in North Carolina, with the agreement that the floundering university would not be obligated to reemploy him until he was needed. In 1869 Pool returned to the University of North Carolina to accept the presidency (he was permitted to keep his appraiser's job at the same time). Reconstruction governor William W. Holden had taken charge of the university's board of trustees to ensure that someone with the appropriate Republican affiliations would be chosen president. At thirty-seven, Pool seemed to fit their specifications and was hired for $1,500 per year. Although brought up within the realm of slavery, Pool rejected its basic ideas. While Pool was president, the university continued its postwar deterioration. Buildings were neglected and overgrown, and campus trees were cut down for firewood. Pool incurred the wrath of many North Carolinians by, among other things, charging that the university was ruled too much by the landed eastern aristocracy and said that if no white students came to fill classes, he would enroll blacks. In January 1871 Pool addressed alumni and friends of the university, pleading for money to pay off the university's debts. However, it was too late—the trustees decided that the institution should close on 1 February 1871 and Pool's title was taken away by a court order. He then became principal of a school in Cary for three years, during this time he invented his adding machine. Pool converted to the Methodist Episcopal church in Elizabeth City at age fourteen and became licensed to preach in 1856. 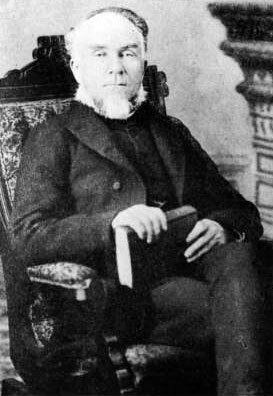 He was ordained deacon at Raleigh in 1862 and elder at Fayetteville in 1865. He preached once a month at the college chapel while in Chapel Hill and was often called upon to preach in various North Carolina cities after he left the university. In 1885 Pool was received into the North Carolina Conference of the church and was sent to Smithfield. He was transferred frequently, filling in wherever he was needed, to towns such as Charlotte, Greensboro, Concord, and Camden. Solomon Pool married Cornelia Kirkland (1835-1914) (the daughter of Joseph and Martha Kirkland) of Chapel Hill on 9 June, 1856. The Pools had six sons and two daughters: Edward (b. 1860), Clarence (b. 1863), Warren (b. 1867), Clifton (b. 1869), Eugene (b. 1871), Theodore (b. 1873), Cornelia (b. 1875), and Lillie (b. 1878). On 2 September 1896, while ending a revival sermon at South Mills in Camden County, NC, Solomon Pool was stricken with paralysis. He recovered partially but remained in poor health and died five years later, on 8 April 1901, in Greensboro, NC. Source: DICTIONARY OF NORTH CAROLINA BIOGRAPHY edited by William S. Powell. Copyright (c) 1979-1996 by the University of North Carolina Press.